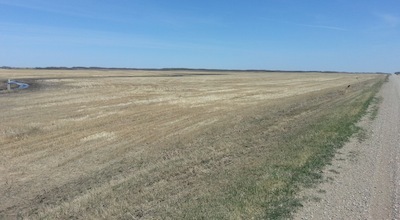 Seeding is nearly complete in some areas of southern Alberta, and canola that is up looks good — although the region could use rain. 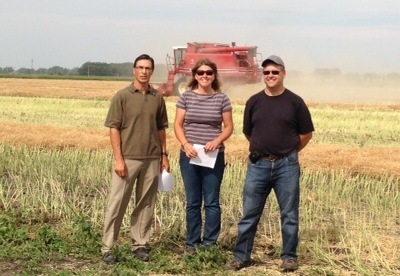 Meanwhile, seeding will start later this week or next week in many other Prairie regions. The photo is typical of many fields — almost ready to go. Mid to late May is a fine time to seed canola. Yield potential, based on long-term averages, may not be as good as early May seeding, but it’s not far behind. Once they get rolling, growers can seed a lot of acres in a short period of time— weather permitting. Seeding is the most important pass you make over the field, so remain patient and remember you only have one chance to give that seed the best start possible. 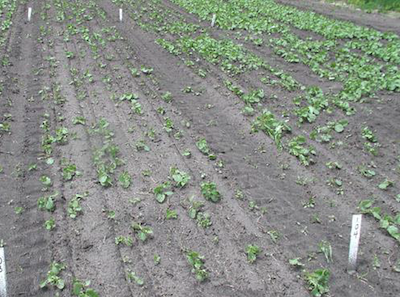 Seed-placed fertilizer reminder: To avoid seedling damage, apply no more than 20 lb./ac. of phosphate with the seed. Put everything else — nitrogen, sulphur, potassium and extra phosphorus — away from the seed. While waiting to seed, look at the weed situation. 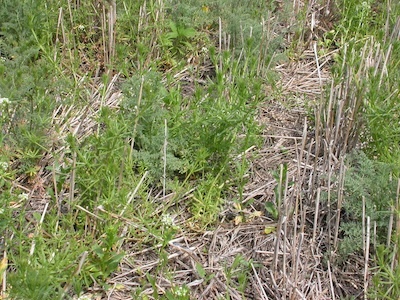 Weeds that are hard to control in crop — such as large winter annual cleavers — need a pre-seed application for adequate control. Why is this canola stand so thin? 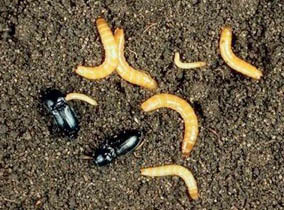 Wireworms have not become the crisis some expected after lindane was pulled from the market, but some fields do have populations at levels that may cause economic loss. Noticeable losses are often confined to small bare patches. Check bare patches to confirm the reason for missing plants. It could be cutworms, wireworms, disease or something else entirely — like Richardson ground squirrels, for example. Aster leafhoppers and diamondback moths blow in on south winds, and just today winds from Texas have turned toward Manitoba. Final results are in. Which of these three team leaders had the highest profit margin? Gophers are the latest threat at the UCC site in Lethbridge. This plant has suffered some feeding damage. Agronomists and other staff traveling from field to field are encouraged to use the following best management practices (BMPs) to avoid spreading clubroot-infested soil. 1. Park on the road or in a grassed approach. 2. 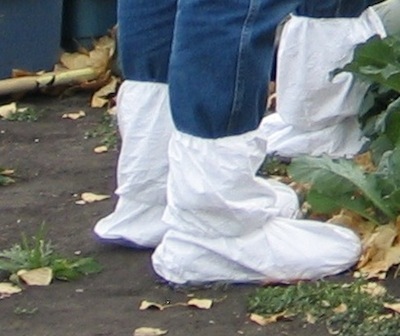 Wear plastic or Tyvek disposable booties over existing footwear. 3. Rubber boots worn without booties must be cleaned before leaving the field. 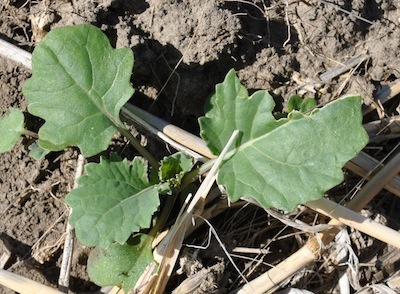 The International Clubroot Workshop June 19-22 in Edmonton includes one day — Friday, June 21 — dedicated to clubroot extension. This is the day when growers, agronomists, municipal and county staff learn the latest in clubroot management, prevention and mitigation. Cost is $150 per day, and you are welcome to attend the whole workshop, space permitting.